Urban Shield holds a massive yearly training event for first responders in the Bay Area. This event organizes specialized training exercises designed to test the preparedness of first responders for various disaster scenarios with the goal of minimizing loss of life during actual emergencies. 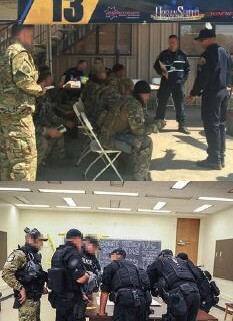 This year’s Urban Shield event, which took place on September 9-12 in the Bay Area, included roughly 35 high-intensity training scenarios. These training scenarios were targeted to multiple types of first responders, including fire, SWAT, EMS (emergency management services), and triage. Each scenario gave these groups a chance to practice their skills in real-world, high pressure situations. Because the event involved targeted training scenarios for a variety of first responders, multiple trainings took place over a large regional area, from Walnut Creek to the San Francisco Bay.